Here are some pics of the "Bronerized" coops and pen. 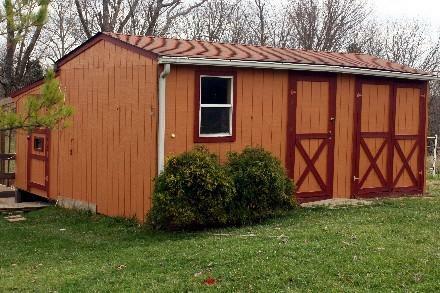 The two coops are on the back of the shed. The front part is used for storage . . . right now. 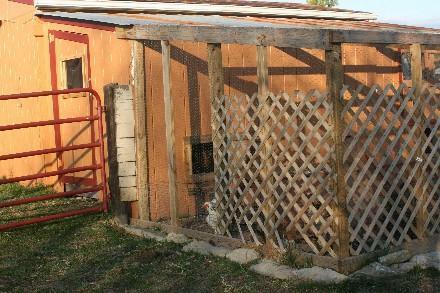 This is the little (original) coop for the "few hens" I started with. Its 7' x 8'. 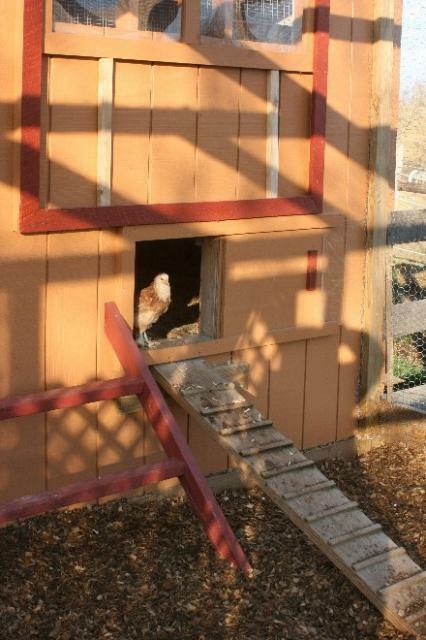 It has two nest boxes and two roosts. 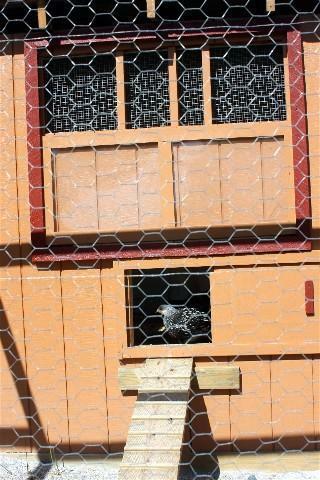 I couldn't get pictures of inside because the chickens kept trying to escape! 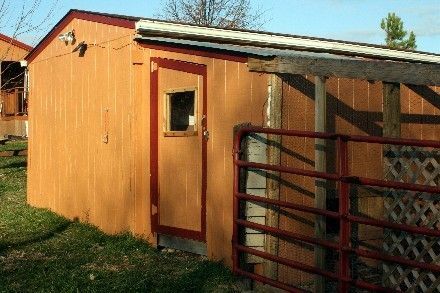 This is the big coop which is on the back right side of the shed. Its 7' x 11'. I can get lots more chickens in here! 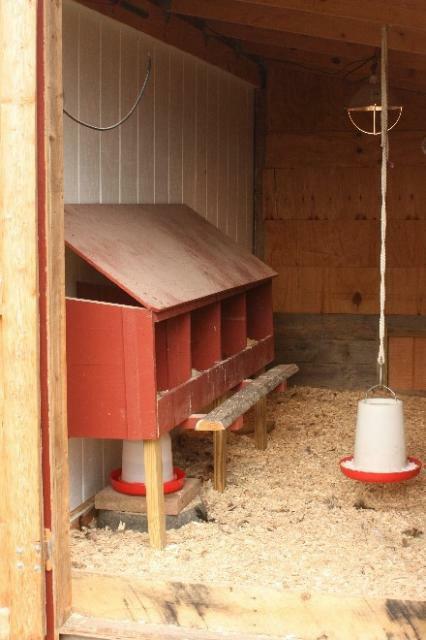 This is the interior of the big coop. The nest boxes were my first attempt at carpentry "all by myself". I didn't do too bad, but I have improved since then I think. My husband gave me an air compressor kit with a brad nailer, staple gun and finish nailer for Christmas last year. That sure makes things easier! 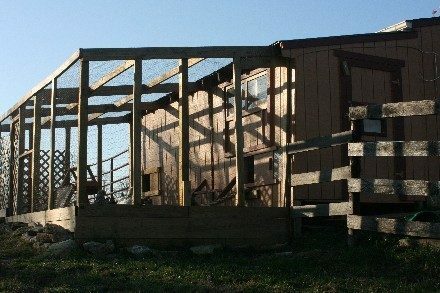 I put in a sliding door between the big coop and the little coop so that the whole area can be used on days when the weather is too bad for them to free range. 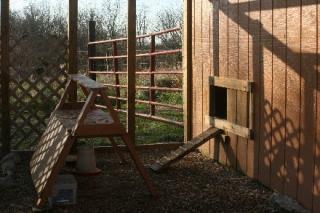 My husband made the roosts from some old landscape timbers we had. 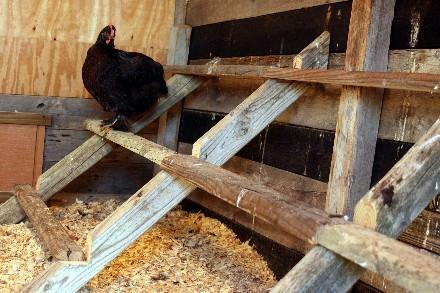 They are sturdy enough for my daughter and I to sit on and watch "chicken TV". The "Bronerized" outside pen turned out great. I thought it was too big when my husband started on it, but now I'm already planning on building another one! 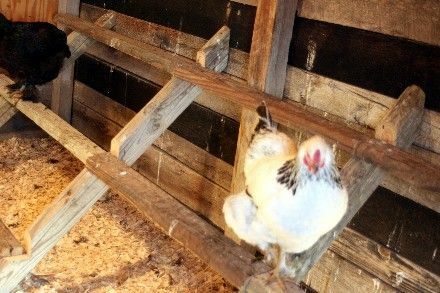 Here is my 6 month old Salmon Faverolles cockerel enjoying the view. 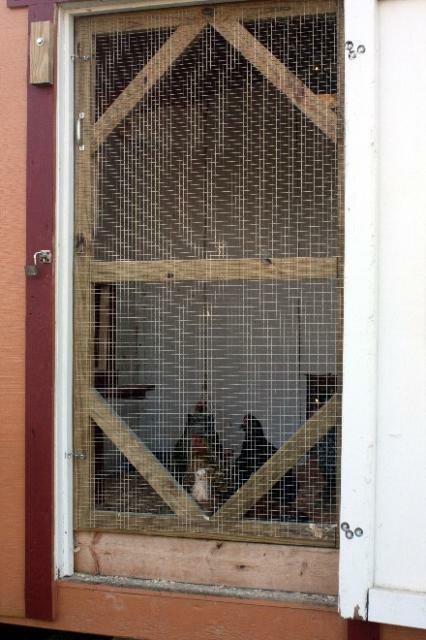 We put a sliding window and door in the little coop. 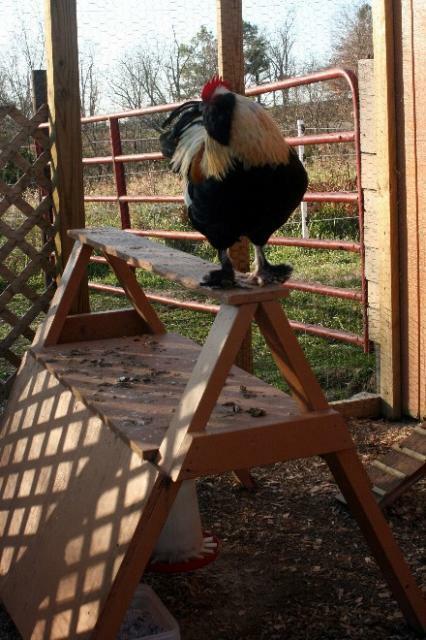 I would never have thought that chickens would make such enjoyable pets. Could use some more pictures of the inside and of the building processes. 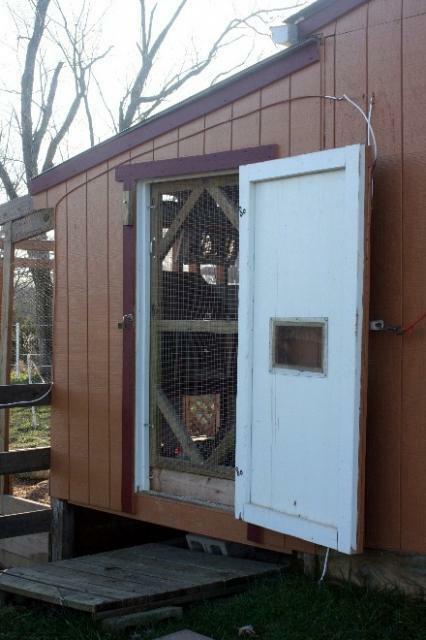 "Good run and coop space"
This design also has pretty good ventilation. Good job! You may want to consider ease of access, though.